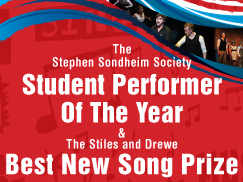 The annual Sondheim Society Student Performer of the Year/Stiles & Drewe Best New Song Prize 2011 will take place at 3:00 pm on 22nd May at the Queen’s Theatre on Shaftesbury Avenue. West End star Haydn Gwynne will host this prestigious ceremony which is now in its fifth year. Prizes will be presented by Julia McKenzie, George Stiles and Anthony Drewe (the composer/lyricist team behind the Olivier Award winning Honk!, Mary Poppins and Betty Blue Eyes). The judging panel includes West End stars Kerry Ellis and Anna Francolini, Edward Seckerson (music journalist for The Independent), Tony Award winning musical director and arranger Sarah Travis and director Timothy Scheader (Into The Woods). The awards showcase the most exciting new talent and best new musical theatre writing by selecting 12 of the best students from musical theatre training schools throughout the United Kingdom. Participants from colleges including RADA will be judged on their performances of a Stephen Sondheim song and one new song written by a team from Mercury Musical Developments. 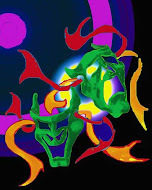 The award incorporates the Stiles and Drewe Prize for the best song from a new musical, in association with Mercury Musical Developments. The prize will be judged and awarded by Stiles and Drewe who are currently enjoying success in the West End with their new musical Betty Blue Eyes.